Note: Throughout the years I've written short articles for our website's home pages (home pages are the front page of a website) about these plants. They are now included at the bottom of this page, and are illustrated by botanical drawings and paintings, some of which are from books published from 1500 - 1900. 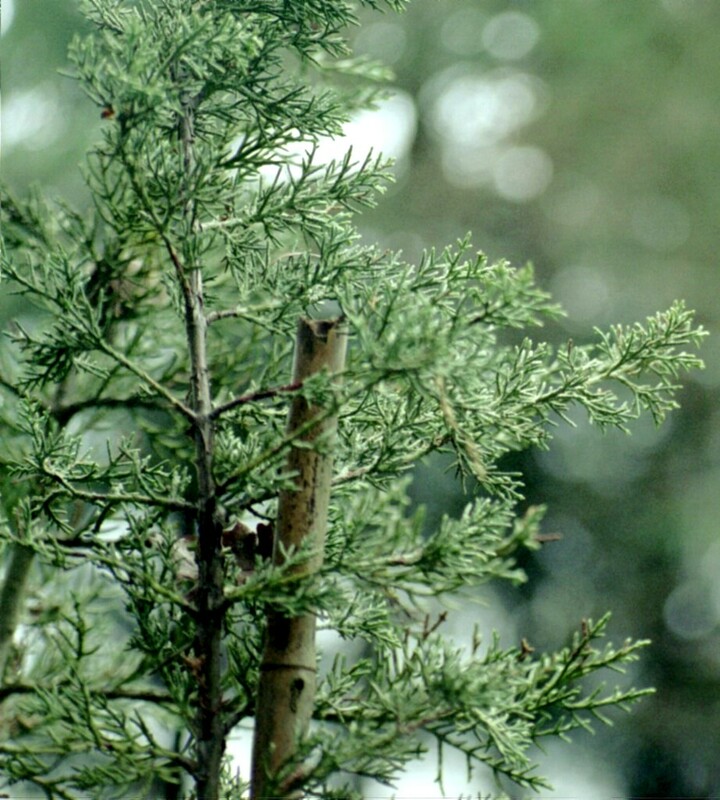 A beautiful and rare tree from southern Oregon, where it is found on dry, usually north-facing slopes. Hardy USDA zones 7-9. This species is completely intolerant of shade and poor drainage. 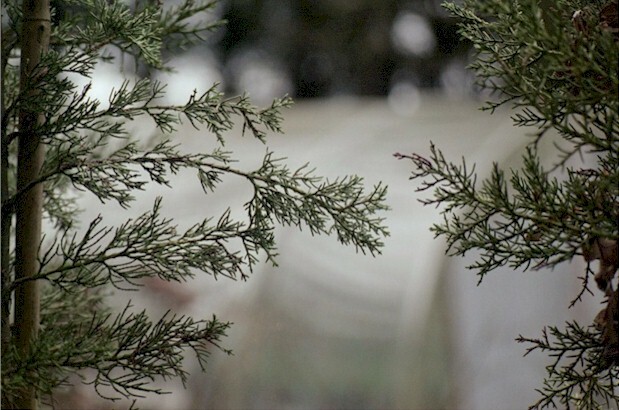 It will grow to 65’ and 2’ in diameter, although it is an extremely slow-growing tree. The thin, gray brown bark peels from the trunks, while the branches reach upwards, like an exclamation of joy. 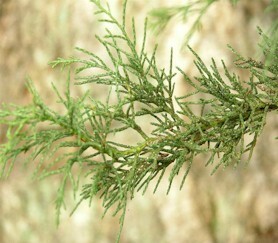 Clusters of 15-30, tiny cones adorn the branches and from the leaves emanates an intoxicating aroma. 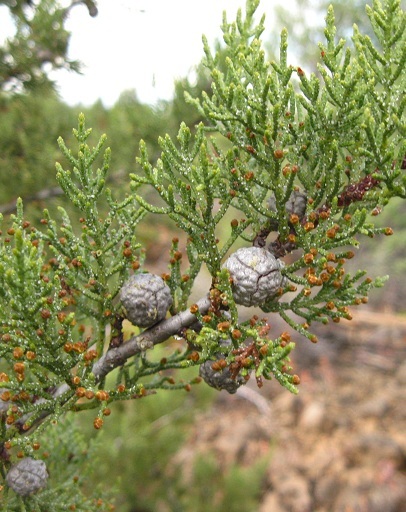 Interestingly, the seed of this tree often depend on wildfire to open the tight cones and disperse the seed. This variety is exceptionally hard to find in nurseries! It is very susceptible to spider mite infestation. We found it rather fast growing in Central Point with largest specimen 20"dbh and 45' tall in 40 years. 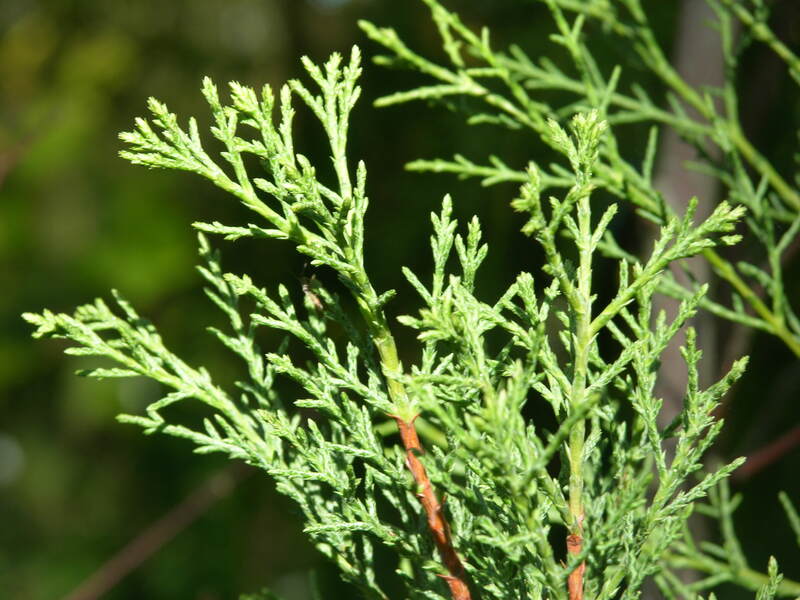 Rarely available in nurseries, Baker's Cypress is a wonderful evergreen tree for dry, well-drained spaces in full sun. 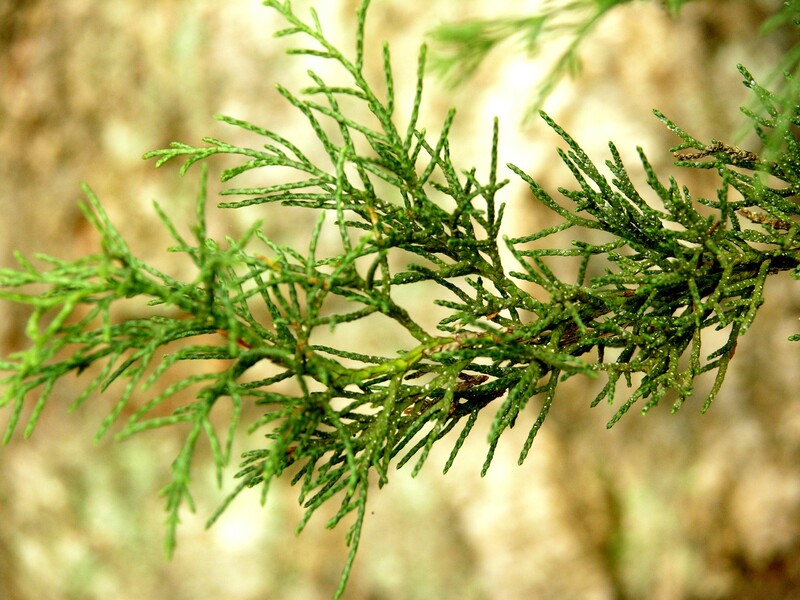 Extremely slow growing, Baker's Cypress will reach 65 feet and 2 feet in diameter at maturity. Thin gray-brown bark peels from the trunks. Tiny cones in clusters of 15-30 are nature's decoration on the upsweeping branches. 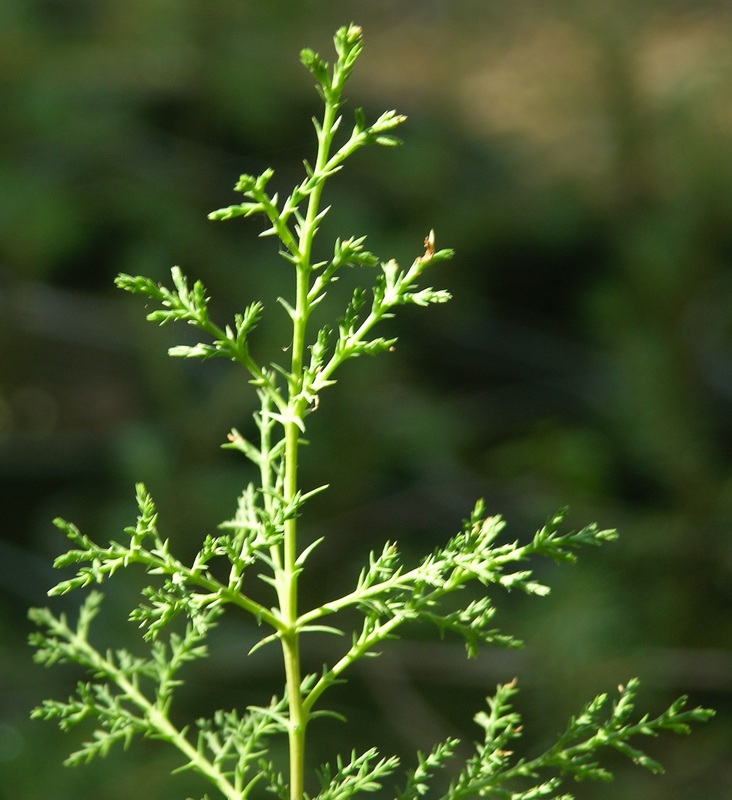 Another attractive feature of this native plant is the unique aroma, much like a breath of clean mountain air.